Countless studies have shown that learning a second language is very good for a student’s cognitive development. Very, very good. But a sizeable proportion of students find it very difficult to achieve proficiency in a modern language. I was one of these students. When people hear that I know Latin and Ancient Greek, they often say, “You must be really good at languages!” Their implication is that because Latin is hard, and you’d be insane to learn Latin, I probably know a whole lot of modern languages as well. I don’t. I never really connected well with modern languages. I couldn’t retain what I learned, and found it difficult to persist with those modern language subjects. But I’m no exception. 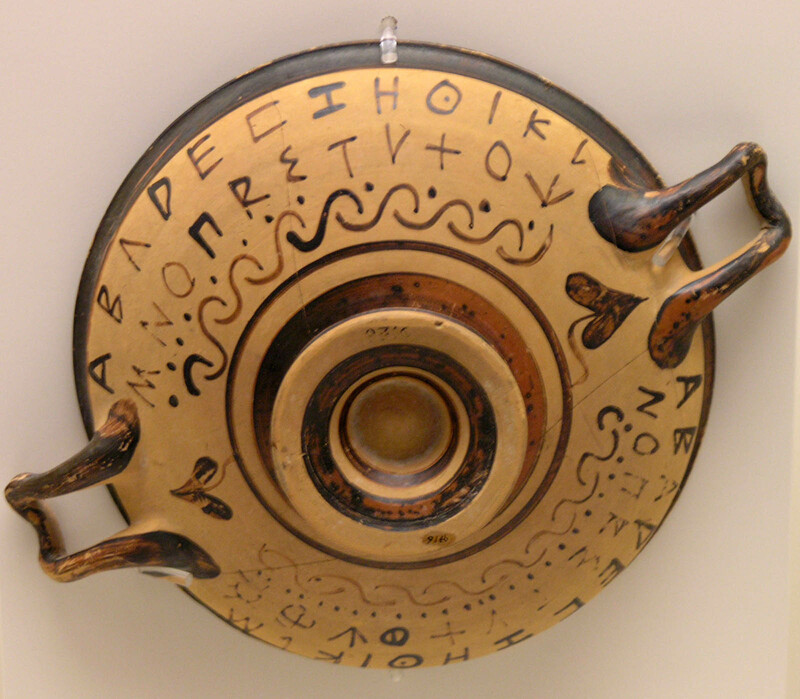 A large number of people who really love Latin have struggled to ‘pick up’ modern languages. Modern language subjects are almost always taught via the inductive or ‘Natural learning’ method, which attempts to simulate a language-immersion experience in the classroom and has a strong emphasis on conversational fluency from the beginning. Like any teaching method, this inductive approach works better for some students than for others. Latin-learning, by contrast, is usually a much more conscious, deliberate affair. 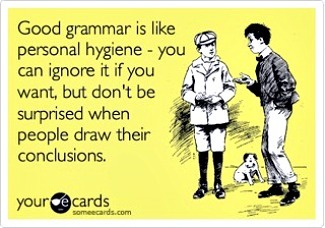 Grammar rules are actually taught in rigorous detail. You learn the logic of the language, you see all its guts and inner workings. The learning process is more deductive than inductive. It allows you to stop and think more, to take it slowly and thoughtfully before getting up to speed with longer and harder pieces of literature. Some people hate that process, some people love it. No single language teaching style will work for everyone. Latin’s difference in teaching style makes it absolutely invaluable to the portion of students who don’t quite thrive in modern language classes. I personally loved deciphering the ancient tongue, and if it weren’t for our Latin classes, a lot of my fellow classmates would never have studied any other language to the level that they reached in Latin. And we would have been much poorer for it. At a time when employers are complaining that job applicants are showing declining grammar skills, grammar instruction in schools is often patchy and inconsistent. This trend away from grammar instruction has been going on since the 1960s, with the result that many school teachers today under the age of 60 or so have little grammar training themselves. Not so with Latin. 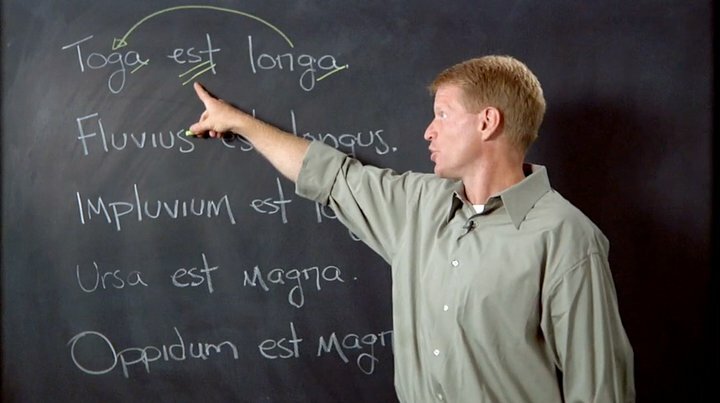 Latin – as it is usually taught – continues to be a strong base for grammar instruction. 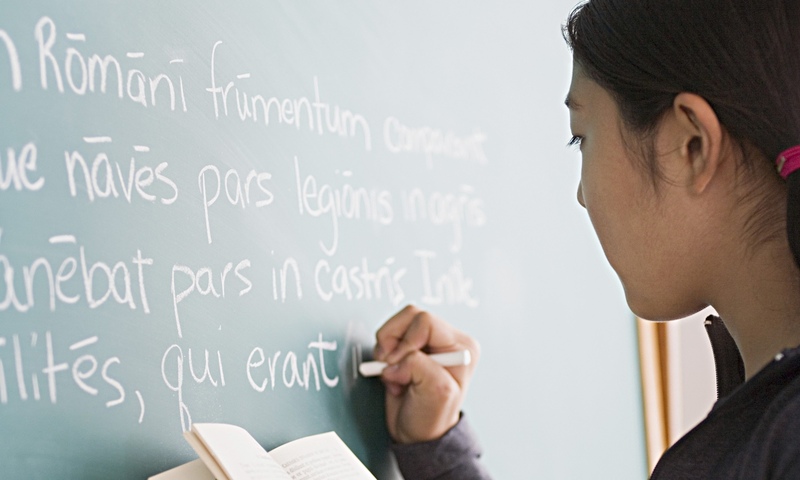 Latin teachers have a deep knowledge of grammar, and a professional culture that values it. They know how to teach grammar systematically, from the parts of speech all the way to gerunds, conditionals, predicate infinitives and the subtleties of the subjunctive mood. I certainly found that my grammar skills were greatly enhanced by learning Latin, and this came in handy later in life as I had to proofread a lot of reports at work. (Editing other people’s grammar and expression is quite the eye-opener; it shows you just how many badly phrased sentences we would have to put up with if news articles and reports weren’t proofed.) A deep grammatical knowledge really helps you to pull apart awkward, overly-long, terribly convoluted sentences and rephrase them for best effect. Latin is arguably the easiest ancient language to learn. It has our alphabet (or more properly, we use the Latin alphabet). Also, Latin vocab is a lot more recognisable to English speakers than Ancient Greek vocab, to say nothing of Hebrew, Sanskrit, Akkadian or Hittite. And yes, I know that a number of my students would complain if I said that Latin grammar is easy, but for what it’s worth, I do believe Latin grammar is more regular than Ancient Greek grammar, particularly in the principal parts of verbs. Because Latin is accessible for an ancient language, and is the most commonly taught ancient language, many people who went on to study other ancient languages first found their feet in Latin. So as it stands, Latin fills a special role as an entry point – a gateway drug, if you like – to all manner of dead languages that are also well worth learning for the benefit of widening human knowledge. Latin gives students a taste of what they could also pursue in studying other ancient languages. If Latin were not taught as widely as it is, there wouldn’t just be fewer Latinists in universities; they would be fewer applicants to other ancient language studies too. I for one probably would not have considered going on to study Ancient Greek if I hadn’t already been taken by Latin. While Latin remains my favourite language of the two, I am still very thankful for being led to study the language of Plato as well. What students read in most language subjects pales in comparison to what they read in Latin. In most foreign language classes, even in the final years, students will read fairly mundane texts about ordinary situations and contemporary culture. In Latin, students end up reading the likes of Vergil, Horace, and Cicero. Reading some of the greatest literature of all time in its original language is immensely rewarding. The corpus of great Latin literature was the envy of many subsequent nations and cultures. It transports students to an age and an experience totally outside of their own world as they read Vergil’s epic verses in Latin, as they hear the poetry of Horace ring out again, and as they take in the rhythm and flow of Cicero’s lively prose. Reading the classics gives students an appreciation of a culture that greatly influenced our own, and yet one that is also in many ways different from our own. They learn to break through cultural and linguistic barriers that span 2,000 years, and they discover a common line of humanity between us. That is an exceptional feat for students to undertake. And Latin literature plays on the imagination and wonder of young minds. It is not for nothing that classical literature has inspired so many great works of art and literature over the centuries. We feel a connection with the classics that runs so much deeper and stronger than the connection we would have with an ephemeral piece of contemporary writing. Latin literature is powerful, meaningful, and greatly inspirational; you would be hard pressed to find anything more worth reading in school. Allow me, at this moment, to wax lyrical, because I mean every syllable I’ve written under this heading. 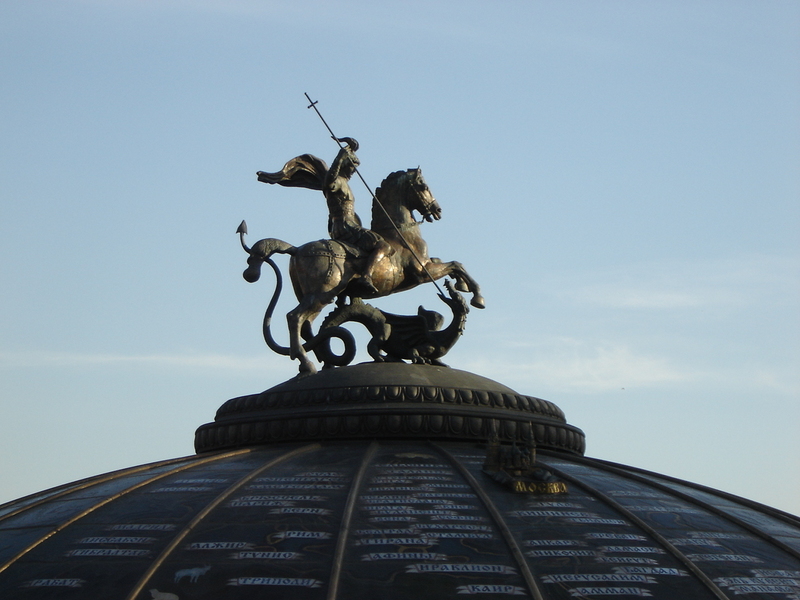 Learning Latin is like slaying a magnificent dragon. It’s thousands of years older than you. It’s beautiful. It’s dark and scary. It shrieks with dreadful guttural sounds (pulcher, gaudium, quoque) and ominous diphthongs (augur, aedificium, proelium). It twists and contorts itself in myriad configurations. But how it soars, how it climbs upon the heights! How it dances, how it plays, how it strikes and wheels about! What deadly grace, what searching insight, what primordial fury. Everyone’s heard of it but few have dared to take it on. It knows so many words for ‘kill’. And you never thought you’d be able to do it. But when you do, you are left with such a feeling of exhilaration, that as you gaze upon the cowed and noble beast, a feeling of sadness for its demise and profound respect for its strength and cunning fills your exhausted limbs. It was a worthy adversary, a challenge that brought you places you never thought you’d go. It left a mark on you that you will never forget. Afterwards you’ll bring it up in pubs, at gatherings, over a pint of beer, and people will remember you for it. It has a mythical, legendary quality. Some people can’t believe it the first time you tell them, and think they must have misheard you. It will enter the folk memory of the people you meet. It will be more memorable than your name. As an example, last year’s VCE Italian exam (taken by Year 12 students in Victoria, Australia) included a short article about the life of an obscure soldier and a fictional letter from a shoe-maker grumbling that the State was not doing enough to protect his industry. By contrast, the VCE Latin exam of the same year included three passages selected from Aeneid book 4, “The Tragedy of Dido”, along with penetrating questions on literary and thematic analysis: To what extent does Dido rely on Anna? 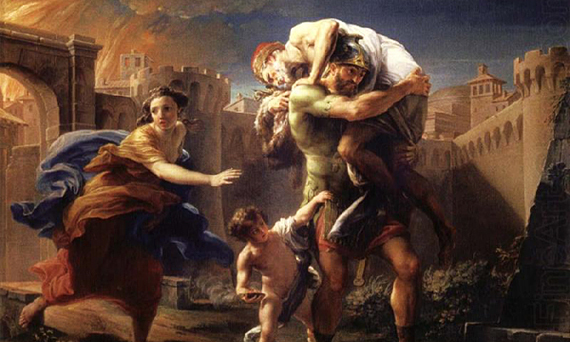 How does Virgil use words and imagery to develop the character and mood of Dido? Usually I get very frustrated with apologies for the Classics because they never really touch on anything near to what I take away from reading Vergil or an essay on poetic influence. Yours is much more satisfying. I think, though, that the last two headings are far more important than getting to grips with grammar (useful, but unless your a grammar geek, no one will study Latin just so they can tell apart gerunds from gerundives). For me, I think the point about breaking down cultural and historic barriers deserves its own heading. This is the constant exercise and the constant challenge for my studies – how on earth can can I work out how the Romans actually thought? It’s especially difficult when you deeply disagree with the Roman viewpoint of, say, human execution for entertainment. At the same time, it is all the more important to struggle with it, since there are those alive today who do not think so differently. As a postscript, I suppose I’m talking more broadly about the Classics than just Latin, but then there’s another benefit – learning Latin allows you to learn the Classics! Excellent, delighted to see it back. In the 1950’s, and 1960’s no way would you have been accepted in a major University, with out having studied Latin. Unless there was an edit otherwise, I believe Latin allows you to learn the Classics is addressed in point three, by referring to it as a gateway drug. I have taken Greek because of Latin, but wasn’t able to continue and prefer the cut and clear, with a few exceptions of Latin grammar. However, the detailed grammar break down of Latin can be especially helpful for English Language Learners (ELL) because of how detailed it addresses grammar as a bridge between all the languages. I don’t believe the overall point is tell apart gerunds from gerundives, but just being able to appreciate language in how they properly form, regardless of whether you’re a grammar geek. I envy how well this is written. Well said and thought out. You looked like a baby Caesar from day one. Who knew? It was the Metamorphoses of Ovid that got me started on trying to learn Latin. Although I’m nowhere near being able to read the original, I’m having the most marvellous time. In addition, I feel that the world is long overdue for a new humanism and revitalisation of classical learning–Greek, Latin, Sanskrit, Chinese, Persian etc. The human imagination is under attack from the various forces of the mass media, corporations, religious fundamentalism, etc….and perhaps a rediscovery of the past could revive humanity once again. Not to mention, knowing Latin greatly increases your knowledge of English vocabulary, expands your ability to appreciate and execute writing in many forms, and puts language and its history in clearer perspective. I took three years of Latin in high school, two years in college … can you tell? Nearly 50 years ago my parents (both only high school educated) insisted I take Latin. (5 years) My first understanding of its value was in Gross Anatomy in my first year of medical school. I knew the meaning of all those Latin names for muscles and other anatomical structures, without having to memorize words that had no meaning to me. Many of my classmates didn’t . Now, instead of anatomy of the human, I’ll be using Latin to help me navigate the romance languages where I’m traveling, and exploring the “anatomy” of the world. Great point, probably helped me too, but anatomy has been slashed to pieces in many medical schools now !! For those interested in the purpose of Latin, this article states it beautifully. I could not have stated it in a better manner. To get unstuck from political/past lives, we need to 1st understand each other’s perspectives & cultures. Let’s start with Esperanto with is much easier NEUTRAL planned language. Dr. Zamenhof tried with Latin, but realised that it’s not up to date & got solution that replaced many previous attempts with one that resisted 130 years of political pressures. Thanks to internet & Duolingo we are now very strong & promising. Then, together can review our past, to strengthen our future. These are all advantages of learning Latin. But I cannot see the reason to make it compulsory. This would be like in an ancient Greek or Roman school, they would make Egyptian a compulsory subject.